Katie is a social worker for Baystate Transplant clinic in Massachusetts. Katie is very passionate about helping transplant patients and has worked closely with ATF for several years. The Patient Assistance Program has help three of Katie’s most vulnerable living donors over the past year. “It has ensured that the income loss they experience while recovering from surgery does not impact their ability to pay bills and meet their basic financial needs. Without this assistance, they may not have been able to donate or would have been faced with burden and concern related to their finances. 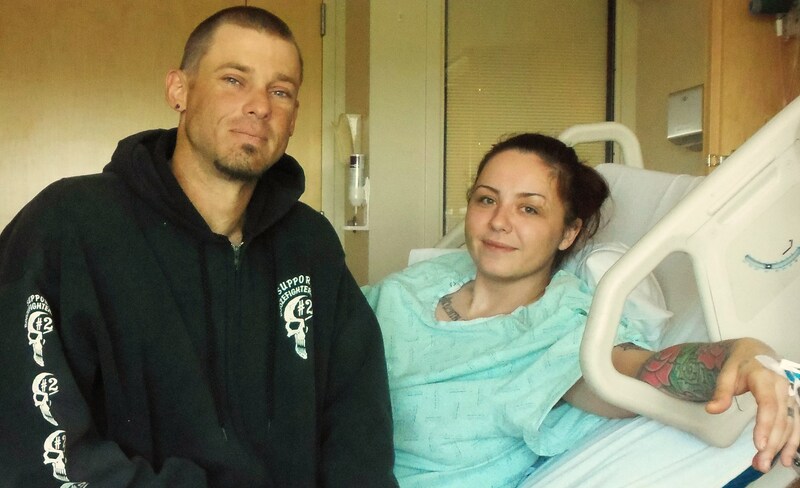 Sasha donated a kidney through a donor chain to benefit the love of her life this past April. While it can sometimes be a difficult process to donate a kidney, Sasha said the decision to donate was easy. While Sasha was not a match for Chad, her decision to donate made it possible for a five-person donation chain to take place. They are now doing very well and are very grateful for Chad’s second chance at life! Sasha had been struggling financially due to her partner Chad’s inability to work. The grant that Sasha received from ATF allowed her to heal without having to worry about how they would make ends meet while they were both in recovery. 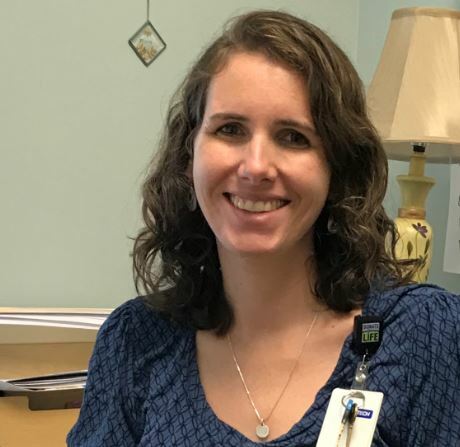 Dana is a social worker for UC Health who has utilized the American Transplant Foundation’s Patient Assistance Program and Mentorship Program for many of her patients. She knows first hand how beneficial financial assistance is to patients during the recovery period after surgery. “No matter how small, the benefit of financial assistance gives some breathing room and the ability to recover from surgery without the worry of financial loss, inability to pay bills or take care of family members”. 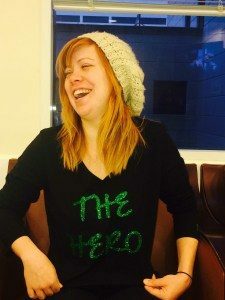 Dana has been working with living organ donation for many years and she can attest that many donors would not be able to follow through with their desire to donate for fear of financial loss. 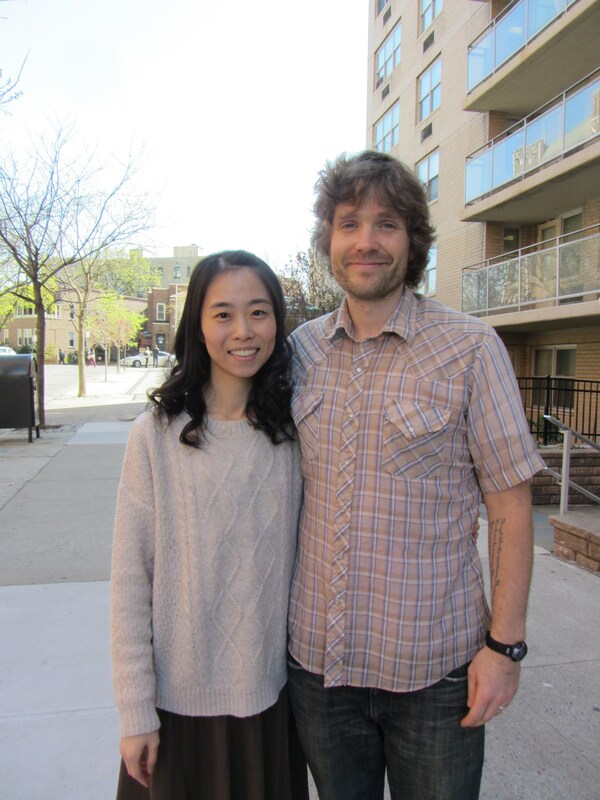 Rosalind is a non-directed living kidney donor who was part of a 6 person donation chain. Her job is labor-intensive and she had to take two months off of work. “I just want to tell you that I really appreciate the grant; I did a lot of saving to be able to do this. The grant allowed me to take time away with my family during my recovery."" Devoted husband and father of two daughters, Miguel, donated his kidney to his wife, Maria, in January 2016. He had no paid time off following the donation, and with the help of our Patient Assistance Program, was able to receive a grant to cover his family's mortgage. Miguel and one of his daughters were able to share their story at this year's Transplant Hero Award Gala; there was not a dry eye in the audience when the two of them had finished their speech! The grant their family received covered many expenses while they both recovered from their surgeries. 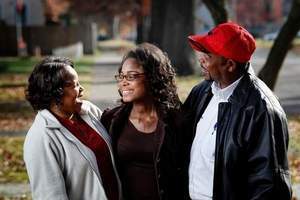 Nyan's mother has experienced multiple hospitalizations and health complications throughout her life. It became clear that she needed a liver transplant to save her life. 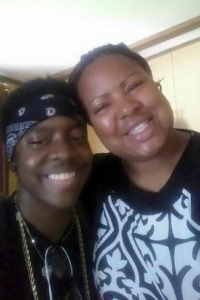 Nyan stepped forward to be his mother's living donor in May of 2015. Liam was born with a genetic disorder of the liver in which enzymes are unable to remove ammonia from his blood. Because high levels of ammonia can cause seizures, brain swelling and coma Liam was watched very closely. It has been 1 year and 3 months almost since his liver transplant. He is doing great and is a very happy little guy. Liam's mom was the only one working. With high deductibles and yearly max out of pocket expenses adding up and frequent travel they found themselves looking for some additional help to cover the costs. The grant their family received from the American Transplant Foundation's Patient Assistance Program helped their family make ends meet after Liam's life-saving surgery. ""Without the financial support from ATF I would not have been able to afford to donate. The grant covered my rent for 1 month and allowed me to take time of work to recover in a stress free environment. It allowed me to donate the gift of life."" Mason became a non-directed kidney donor in June of 2015. His decision to donate was easy but being out of work without any paid time off presented an enormous challenge. The grant he received from the Patient Assistance Program allowed Mason to save a life and to cover his expenses at the same time. ""I would like to thank all supporters of ATF for allowing people like myself the ability to help others and save lives. Keep doing what you're doing!"" 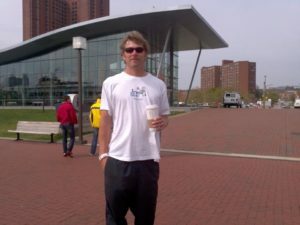 "'I would really like to thank the American Transplant Foundation for their support during this tough but joyous time. They really came through for me with assistance that allowed me to donate a kidney to my niece." 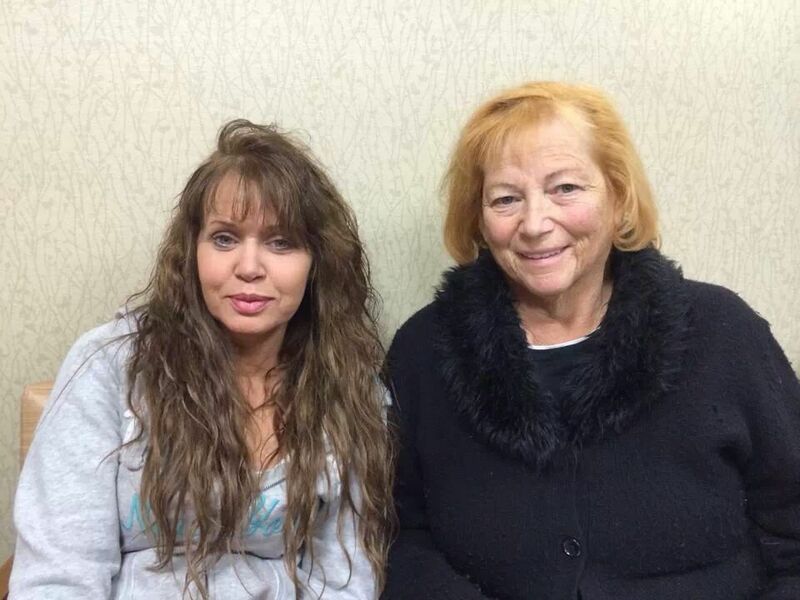 Kirby's niece had been dealing with kidney failure for sometime now and had been on dialysis for over a year. He knew it was important for her to get a kidney. So he was tested to see if he was a match, without anyone's knowledge, except for the staff at Georgetown University Hospital Transplant Center. When he found out he was a match he was overjoyed that he would be able to help his niece have a chance at living again. Kirby did not have leave from work and was concerned about making ends meet while he was in recovery. His case manager told him about the American Transplant Foundation and what we do. ""It took about six weeks to fully recover, so the donation that we received from your foundation helped to cover bills. If anyone is ever considering donation, I would tell them that it will absolutely be the most rewarding experience ever. After all, it's giving life!"" 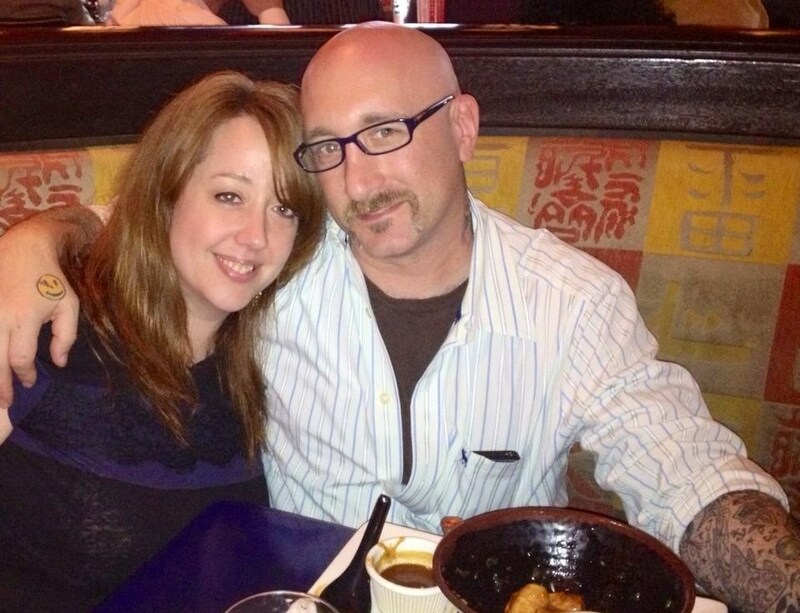 Mark and his wife noticed a Facebook post about a firefighter/father of three/husband who was in need of a kidney. He thought about the man throughout church that day, and when he returned home, he told his wife that he wanted to help out. "I wanted to be that person who was the match. I just couldn't get his story out of my head, and I knew that I couldn't turn away from a father who had three children. My main reason to donate was because I wanted those children to keep their father. After testing, word eventually got around that I was the donor, and the recipient and his family asked if we could meet. So, two weeks before the surgery, my family and I met the future recipient and his family. It was a wonderful meeting that I will never forget. After the surgery, I recovered quickly and actually left the day after the surgery. Looking back on this experience, I know that I would do it all over again, without hesitation. It was one of the most rewarding experiences that I and my family went through. I never quavered throughout the entire process, and I think that is what most people were surprised about. I knew that it was a gift of life that I was giving, and that it just felt right. There wasn't any need to ever worry. 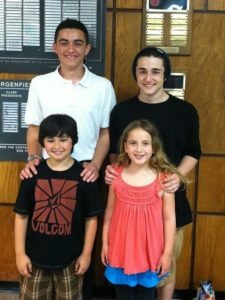 My family and I have now become close friends with Brian and his family. We try to meet monthly just to catch up and enjoy some time together. If anyone is ever considering donation, I would tell them that it will absolutely be the most rewarding experience ever. After all, it's giving life! My name is Amy, and I was lucky enough to receive a grant to help me with my kidney donation. 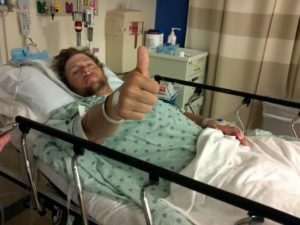 I work in a restaurant and they were unable to offer me any sort of disability pay, so when making the decision to donate my kidney I knew I would be taking a minimum of a month off of work and without any pay. My donating to my cousin was the best thing I have ever done in my life. My cousin is such a special and amazing person. She was born with kidney problems and this was her third transplant. She takes it all in a stride and with a smile on her face. When she started the process to get back on the transplant list for the third time, I jumped at the opportunity to help her. Being that this was her third transplant and she has a young daughter, the chances of finding her a match were less than ideal. I went in for testing knowing that even if we were not a direct match they can put you into a donation pool. Of course I wanted to be a direct match but I kept an open mind towards our options, but sometimes things work out just perfectly and we were a great match! We only had one antibody towards each other! The odds were against us, but somehow things turned out just right. 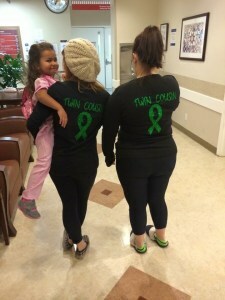 Our transplant was completed March 10th of this year and within hours my cousin was feeling amazing! I have a text from the day of our transplant saved on my phone saying "I feel so good!". The transplant came just in time, if we did not have a March 10 surgery she would have had to start dialysis that same day. My cousin is now able to lead a much more normal life and has the energy back to play with her daughter. My surgery, instead of lasting the usual 6-8 hours, was 21 hours long. Following my kidney transplant in 2013, my creatinine started going up about 3 months later. After my second kidney biopsy, I had to go back into the hospital because antibodies were attacking the new kidney. Thankfully the kidney was saved after a lot of expensive treatment and one round of chemotherapy. If I hadn't had the coverage, I would have lost the kidney. I knew it was important to have insurance to have access to these treatments. Without insurance coverage, I could have been back in kidney failure and on dialysis. The American Transplant Foundation was a lifesaver for me. I really appreciated the help because I didn’t know what else to do. I did a lot of calling and searching the web, and I couldn’t find any help. Thank you to the Foundation for helping to save my kidney. Hi, my name is Lisa McCrea and on December 13, 2013 I donated a kidney to a stranger. My decision to donate came about after seeing someone's need on Facebook. I contacted my recipient through matching donors and immediately went for the initial blood ad urine tests which showed that I was a match. 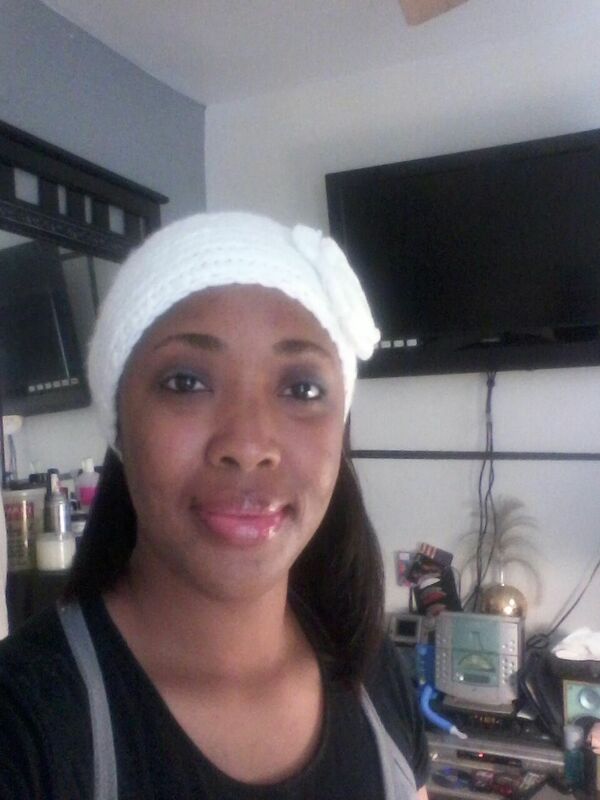 I then traveled to California for my clinical evaluation and we were scheduled for surgery. It was the best decision I could have ever made. My recipient is doing wonderful and now has a new lease on life. I have had a few complications as a result of the surgery and haven't been able to return to work yet. My bills are piling up and I am in danger of losing my home and my utilities. But later on I was informed via email that my application was approved for a grant and it saved our home. While enjoying a nice day of a picnic and watching a team of volleyball players at the Caledonia High School, Todd happened to overhear one of the senior parents talking about how excited she and her husband were because Bruce (the recipient) was finally added to the kidney transplant waiting list. We discussed the situation further, and I left that day with the contact info for Mercy Health St Mary’s Kidney Transplant Center in Grand Rapids. Not having a lot of knowledge on the subject, other than knowing that my college roommate donated a kidney to his sister many years ago and was never limited in physical activity (ie he runs marathons and sprint triathlons), I did a lot of research over the remainder of the weekend. The article that stuck with me the most was one that stated that the average life span of a person on dialysis was only five years. Five years? That’s it? The same thing kept going through my mind – my new friend has a senior in high school. That means he could be dead before even turning 50. I kept thinking about his daughter. How he might not be around to walk her down the aisle, or to ever see and play with his grandchildren. I contacted the transplant center the following Monday to find out how to get the process started. They were incredibly helpful at addressing all of my questions and concerns, and we began what would become a three month trek to determine compatibility. During part of the interview and testing process, my patient advocate at St. Mary’s, Justine, advised me of the Patient Assistance Program offered by the American Transplant Foundation. I didn’t put a lot of thought into it at first. I think like most, I didn’t want to feel like I needed help from anybody. I have led a blessed life; and I can take care of my own family. Save the money for those whose decision to donate would actually be based on the outcome of their application. Time passed, tests passed, and although not a perfect match, the doctors all agreed we were a go. Finally. And thank God. Up to this point, I had done everything I could not to make this about me. Against his wishes, I asked Bruce (the recipient) not to divulge my name. It was about making him better and I didn’t want people to think I was doing it to look like a hero or for handouts of my own. I knew that, despite being self-employed and business being slow, we would survive financially if I took a week off because I was sure I’d be back at it despite everybody telling me I’d be down for at least two weeks. I had just run 26.2 miles in October – this can’t be that hard. But while I kept the family quiet, what I didn’t realize was that I was actually making it about me. My church family had no clue. Our closest friends didn’t even know. That meant, while I didn’t feel like I needed the support and attention, my wife had nobody other than family to talk to about it, nobody at church to offer prayers. And until we discussed it further, I hadn’t really considered the stress she was feeling from a financial standpoint. She was doing what she could to pick up extra shifts when possible. But being a nurse and probably more in touch with reality of a 49 year old body, she knew it was very likely that I’d be out longer than I had planned, and that I’d need her around more than I was expecting. So her going to work at all, let alone picking up extra shifts, for the first couple of weeks was probably not going to be possible. Shortly after that, after being assured by Justine that approval of our application would not break the Foundation bank or keep others from being able to donate, we submitted the application. Within only a couple of days, we were informed by Justine that the Foundation had approved the grant. There was an immediate weight lifted off of our stress bar. About that same time, I agreed to let others know about the surgery and was overwhelmed with the love, well-wishes, and prayer offerings we received from friends, family, old friends I haven’t seen in 30 years, as well as people I’ve never met before. Wow. The surgery went better than expected. The staff at St. Mary’s was incredibly helpful and comforting. They even put us in rooms next to each other which allowed us to get out and take hall walks together. We ended up going home the same day (a day earlier than expected for him). We continue to do well and now trade texts and go to lunch occasionally. Bruce’s family and friends have been an incredibly supportive group over this journey. It has been a longer road back than expected. I started walking on the treadmill in week 3 and was only able to make it a couple of miles before having to stop. That was pretty shocking. I am now up to 4 or so, so it’s nice to see some improvement. But I’m not sure I’ll be ready for the Fifth Third River Bank Run (25k) again this year (in May), which had been a goal of mine from the start. An even greater vision was to maybe partner with the Kidney or Transplant Foundation in a booth at the expo prior to the event to register donors. You see, something I’ve found after running organized races for a few years now is that most runners are of a different breed. They are helpful, incredibly encouraging, and willing to go the extra mile (haha) for a complete stranger on and off the course. While it is a competition, for most it’s a competition against the elements – the course, the weather, our own body’s limits. This event could be a platform to inform these people that there are 75,000 plus people out there in need of one healthy kidney while most of us run around with two; to help people learn that donating a kidney can be a life changing experience for someone else while not limiting their own life. What better place to do it than at an event filled with so many healthy, generous, giving people. If we could reduce that number by 1%, 100, or even just one; that’s one more person who will be able to attend those weddings and get to know those grandchildren. But then again, whoever would have thought, considering the odds, that small talk at a volleyball tournament in a small town could have the impact that it did. I guess maybe it was a pretty good season after all. My family thanks you for your incredible generosity. It took a couple of weeks for her to get up the courage to approach Duke. Although Sarah had gone on a mission trip with his wife, she didn’t really know him personally. “This is going to sound crazy" Sarah said, "but I think God told me to give you a kidney.” When Sarah approached him in May, Duke had been on dialysis for nine and a half hours every night. After blood and tissue testing, Sarah was found to be a perfect match. It has only been a year since we got married, and we have been through more than anyone should have to handle in their first year of marriage. It is kind of a coincidence but it was also our first year of dating, almost seven years ago, that my husband’s PSC liver issues began. 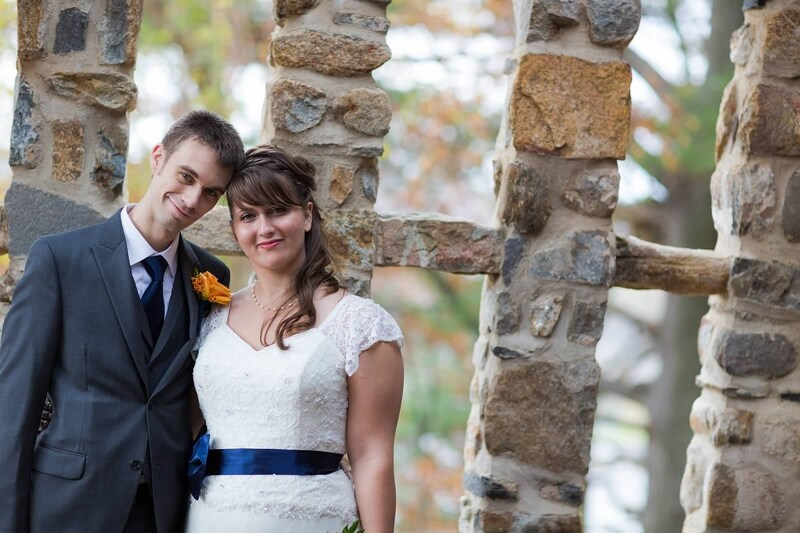 We met at the Penn State Bookstore on University Park campus. It had been a year of working many Saturday afternoon football games until we expressed any interest in each other romantically. 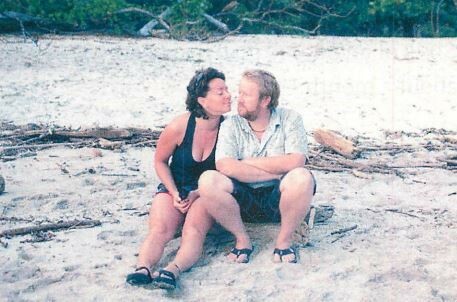 Throughout our years of dating, his illness was well managed, but left him fatigued, which is common with PSC patients. Everyday before surgery had been a struggle both emotionally and financially. The uncertainty of the future weighed heavy upon us. It wasn’t until this past spring when my husband suddenly went into stage three liver cirrhosis that life took a turn for the worst. There was no fix for his liver, he was going to need transplant. Thankfully, he was an excellent candidate for live donation and was the same blood type as me. I had high hopes for us being a match, since his disease was time sensitive, and it wasn’t until this past summer that I was tested. When my results came back a week after testing, a huge weight was lifted, I was a match. Now we had to set a date, and the sooner the better. For me, I was ready to go anytime, and knew we would somehow make everything work financially even if we had to take out a loan, but my husband reacted differently. He wanted to wait for financial reasons, but was finally convinced to go ahead with it this year. So, we decided to celebrate our one year anniversary on October 27th and nine days later, we headed into this life altering experience. Although it was challenging, I would do it again in a heartbeat. 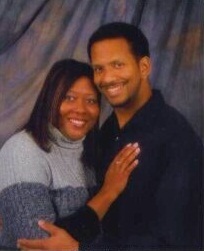 I love my husband dearly, and proudly look forward to telling our story to others in the many days to come. I am so very thankful to the American Transplant Foundation. You are an awesome program! Your help took a lot of financial pressure off me at a time when I really needed help. But it would have been much more difficult. Since I’m out of work for this month of December, I have no income coming in. ATF’s help has given me peace of mind. 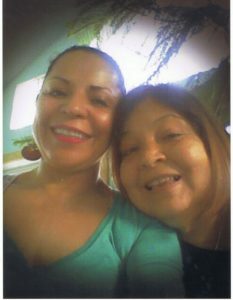 My aunt is very special to me and I’m thankful I was able to help her by giving her one of my kidneys. She’s doing excellently – she’s actually feeling better than I am right now & is helping me recover! It is so gratifying to see her doing so well. It’s worth all the discomfort I’ve had. Your program is greatly needed! If ever I win the lottery, you will be a program I will make a big donation to! He feels much better and although I have had a few setbacks in my recovery, I did not have to worry about house payment or utilities right before Christmas with my children. You did good and I feel blessed to have been associated with your organization. You are truly miracle workers and angels. The process was easy and the speed with which you replied was phenomenal. My name is Carmilla. 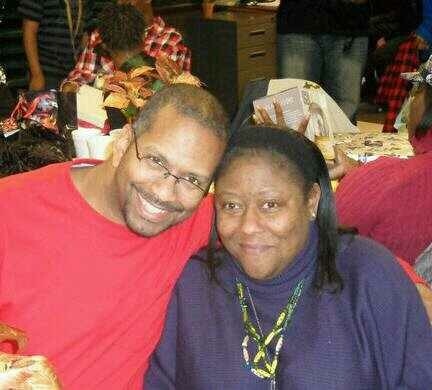 I donated my kidney to my mom 12-31-2012. Thank You for all of your support and assistance. You made it possible for me to focus solely on recovery and not rushing back to work. As a single mom, Working is very important to our survival. My name is Richard, I'm a recipient of the American Transplant Foundation's Patient Assistance Program. It allowed me to feel a certain amount of relief regarding my financial obligations and responsibilities. When going through a major surgery process such as a living donor kidney transplant, the last thing one would want to do is to stress out over essential bills. I want to thank the American Transplant Foundation for assisting me during my time of need and definitely feel that this Patient Assistance Program helped me tremendously! Several years ago my mom was diagnosed with kidney disease. I told her then if she ever needed a kidney that I would donate mine to her. There was never a question as to whether or not I would. What you did for us took a lot of pressure off us and helped put us at ease so we could concentrate on recovery and our kids. Going through all of this made me realize how much we need to rely on family and sometimes others for help. My mom is doing great now and we all couldn't be happier. I also saw how amazing Carrie was during all this. From taking care of the house and bills, to taking care of me and our 4 kids, and of course taking care of me. Thank you again for your help. Your Foundation is an amazing organization and I, as well as others, are lucky you are there to assist us. Grateful, Grateful, Grateful! This sums up how I feel about the American Transplant Foundation. During a difficult time when my husband was laid off and I lost my primary healthcare coverage, ATF stepped in and provided me with financial support to keep me ALIVE. 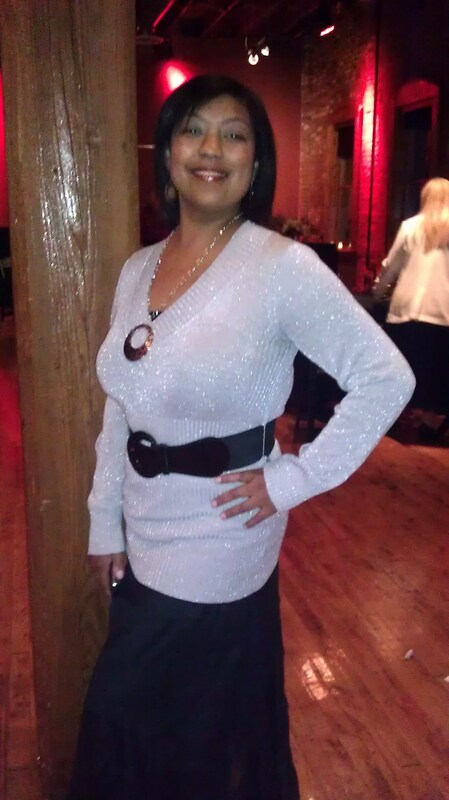 I received my gift of a heart transplant in Dec 2006, since then, I have been able to live a normal life. I have two daughters who are 7 and 8 years old and I have been blessed to see them grow. I have been able to return to school and obtain not only a bachelors degree in rehabilitation but also a Master's degree in Rehabilitation Counseling. I am currently working as a vocational rehabilitation counselor for the state of Georgia. I have continued to pay into Medicare so that I may keep my benefits but am currently in the "donut hole". With the loss of my husband's insurance from work when he was laid off, I was having to pay an astonishing amount for my medications monthly. With the financial blessing of ATF, I am now able to purchase my immunosuppressant medications to help sustain my life without having the stressful thoughts of how to purchase my medications each month. Thank you ATF for all you do and all you have done for my family and others. Nearly two years ago I saw a story on the news about a man who donated his kidney to someone he didn’t even know. I don’t remember many details about the piece, but I do remember being moved, and resolving at that moment to do what I could to help improve the life of someone waiting for a kidney transplant. It was a long process, with a number of delays that were beyond the control of either the recipient or myself. When I started the process I was a grad student living on the east coast. When it was finally time to have the surgery, I was a new father holding down two jobs and living in Washington State. The logistics and financial landscape of the donation had changed significantly. While I remained committed to going forward with the donation despite the new circumstances, figuring out how to make it a reality became a challenge. That is where the American Transplant Foundation came in. With the generous assistance of the ATF, virtually all of the expenses associated with the trip were covered. As a young family we didn’t have the extra resources to cover the travel and housing expenses on our own. The ATF’s support allowed me to follow through with the commitment I had made months before to the recipient, a wonderful young woman in New York City. Today we are back in Washington State, and I have been able to move on with my family and work lives. The recipient, with whom I have stayed in contact, is doing well. When we met her family before we flew home, her father thanked me with tears in his eyes for having helped his daughter. While I am glad to have played a role in the process, the ATF deserves thanks as well. Without the support of the ATF I don’t know how I could have gone through with the entire process. Thanks to that support, the lives of two more families have been touched, and a special young woman is now making plans for moving forward with her life. So from all of us who have been part of this process, thank you. Thanks to the American Transplant Foundation I was able to donate a kidney to Ms. Norma. That kidney saved her life, but it gave me infinitely more. I developed a greater trust in the Lord, along with patience, compassion, and generosity. I know that those who donated funds to the American Transplant Foundation will reap the same blessings I did. My story starts with a very good friend of mine that I have known for several years. 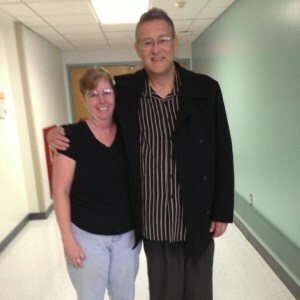 He had been on dialysis for 3 years and needed a kidney transplant. I knew very little about living donation, but I did know my recipient's blood type. I donated blood to find out my type, and while waiting on the results, I researched and researched, and researched some more. The results came back, and I discovered that we were a blood type match. At that point, I was pretty familiar with the basic process and risks, so I secretly talked to his mom and sister about becoming a donor. They were thrilled, of course, and explained to me that his insurance would cover all of my medical expenses, but I would be responsible for my time off of work. I hadn't even thought about the financial aspect of it! I didn't have any savings, but I had some vacation time saved up, so I decided to proceed, knowing I'd make it work somehow. We started with our tissue typing and cross-match tests. We were delighted to find out we were compatible! Next came the testing for me, along with a visit to my social worker. She and I talked for a while, and when she told me about the financial assistance available through the American Transplant Foundation, I was ecstatic! Now I just had to make it through the health screening. When all the results were in, and the transplant committee had approved me as a donor, I applied and was approved for the financial assistance grant. I couldn't believe it! Now I didn't have to worry about money - the Foundation was going to pay my bills for the month! In addition, they would pay my bills directly, so I didn't even have to worry about sending the payments out. I am so grateful for this grant - with it, I was able to focus on the donation and seeing my recipient get better, instead of worrying about how I was going to meet my financial obligations. After surgery, the change in my recipient was AMAZING. His color returned the next day, and he seemed so full of life, even through the pain of the surgery. I cannot thank you enough for making this process as easy and stress-free as possible. This has truly been one of the most amazing experiences I have ever had the priviledge of being a part of. I am absolutely in awe of it all. As far as I'm concerned I am the lucky one, because I got the pleasure of giving such an amazing gift. The Patient Assistance Program has made a tremendous difference in many people’s lives, including my Dawn's. 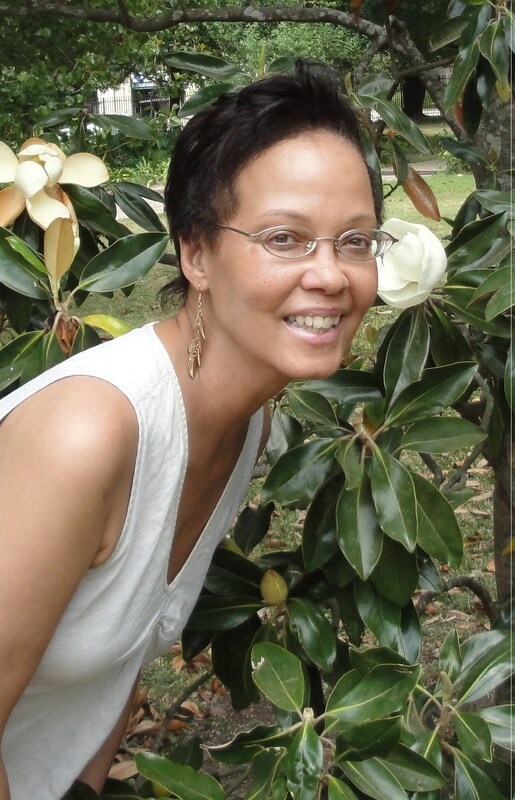 On July 7th, Dawn received the precious Gift of Life - a heart and double lung transplant. Unable to work because of her health condition, Dawn was having trouble paying her insurance premiums. 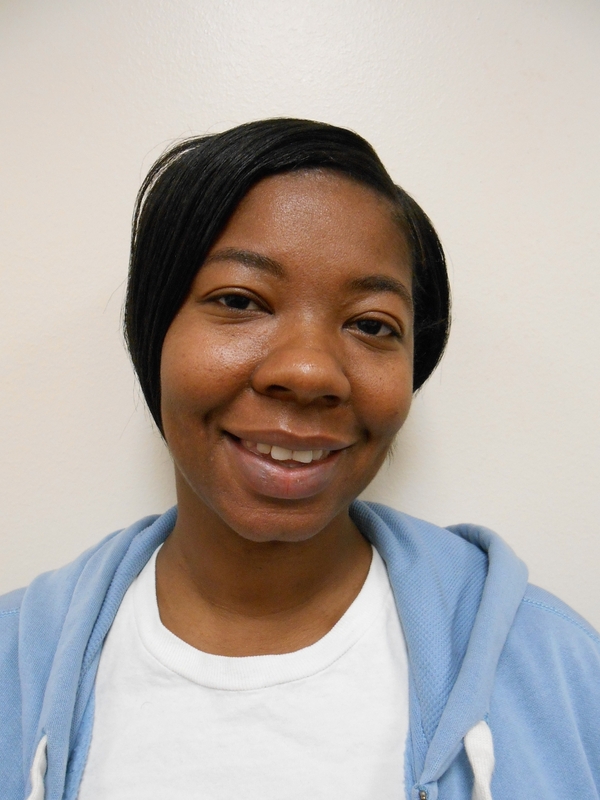 In 2012, Dawn received a $500 financial grant through the Patient Assistance Program. Because of this grant, she was able to pay her monthly insurance premium which ensures that she has access to anti-rejection medications that are vital to keeping her transplant. Dawn says she is so thankful for the Foundation's commitment to helping transplant patients keep the organ that saved their life. 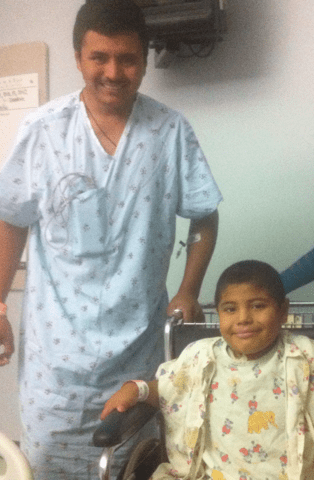 Jorge’s eight-year old son, Osvaldo, was in dire need of a kidney. Osvaldo’s mother had already donated her kidney to her son when he was only two years old, making Jorge the only family member that could save their son’s life. 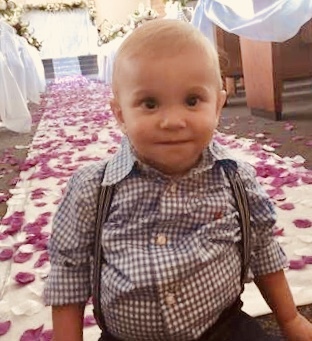 Through the Patient Assistance Program, we were able to provide this family with rental assistance during Jorge’s recovery time to offset his unpaid time off- allowing him to give the Gift of Life to his precious son. Theresa was gainfully employed until she went through some severe complications as a result of her double-lung transplant. After several hospitalizations she could not keep up with her monthly expenses, and Theresa was starting to lose hope. Her insurance premiums were one of the difficult expenses to meet. Luckily, we were able to step in and help Theresa with her medical premiums. She says the assistance helped take a huge weight off of her shoulders and now she can concentrate on her well-being and her 16-year-old son. Christina, a successful businesswoman, was faced with harsh realities when she had to take a leave of absence from her employment to succumb to the long and painful process of dialysis until she received a kidney transplant in August. It was such an uncertain time in Christina's life- the combination of dialysis and inability to work left her struggling to pay her medical insurance premiums and provide for her son. Her insurance coverage was at risk of being dropped if she did not pay her overdue premiums. Our Patient Assistance Program was able to pay Christina's overdue premiums, allowing her to keep her insurance. Just a few weeks later, Christina was able to return to work to provide for her family! "Thank you so much for helping be during this time of true need! I truly appreciate it! These funds will help pay my overdue insurance premiums. Keeping my insurance is so important because I received a kidney transplant two months ago and maintaining my health is very important. Once again thank you!" Kevin and Florence met as youthful high school students. 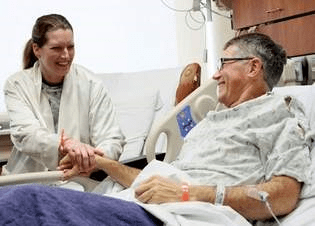 In the halls of their Cincinnati high school their lifelong love story began, and on August 15, 2012 Kevin gave his wife the priceless Gift of Life. Kevin knew, with unwavering doubt, that he would do anything to save his wife’s life. Their 24 years of marriage had brought many trials, including Florence’s progressive kidney failure and loss of sight starting in 2008. After four years of dialysis, job losses and insurance changes, the family had experienced their fair share of ups and downs on the road to a lifesaving transplant. Florence’s vision had deteriorated to the point of blindness and as a result Kevin had become the sole provider for their family of three. Throughout four painful years of dialysis treatments, Florence longed for a lifesaving transplant. Family members and friends, who readily agreed to be tested, had fears that stifled their willingness to donate. Fortunately, Kevin was a match! 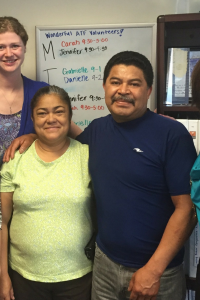 As the sole financial provider and Florence’s primary care, he knew donating a kidney to his wife would be difficult; but Kevin was determined to find a way to make it work. Working for a manufacturing company in Tennessee, Kevin would be unable to work his physically demanding job for 4 to 6 weeks following his donation. With a stark decrease in his income, the family made some necessary cut backs. Even after eliminating some of the essentials, the family knew they were going to fall short on some of their payments, including their monthly rent. Distressed, Kevin proactively began looking for assistance. Thankfully, his social worker at the University of Tennessee Transplant Center knew exactly who could help, the American Transplant Foundation! 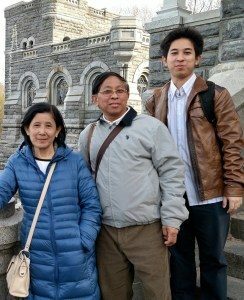 With the help of his social worker, Kevin applied for emergency financial assistance through the Foundation’s Patient Assistance Program. Within days, the Foundation had approved the request and notified Kevin that his rent would be covered during his recovery! Both Florence and Kevin are healing well. After a month of healing, Kevin is headed back to work. Tyler is a social worker at a transplant center in Pennsylvania. 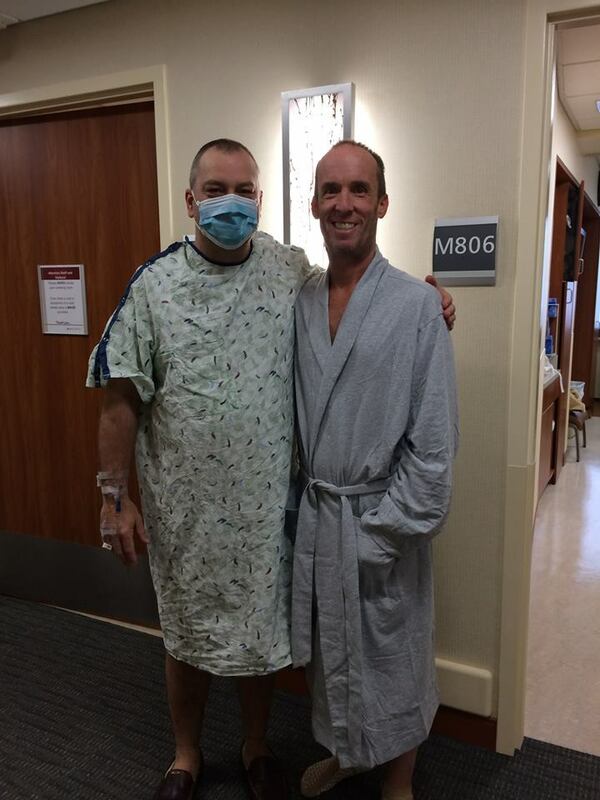 Tyler’s patient, Steven, wanted to donate his kidney to ultimately benefit his son through paired exchange as he was not a direct match. Two years passed and they had been matched twice, but both times, something fell through. 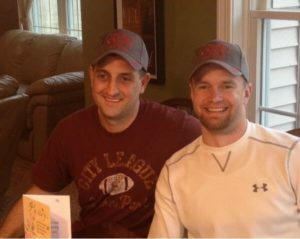 After a long wait, a donor came forward to make the paired exchange possible. Steven's decision to donate saved the lives of his son and two other individuals. However, he was concerned about making ends meet while he was in recovery. 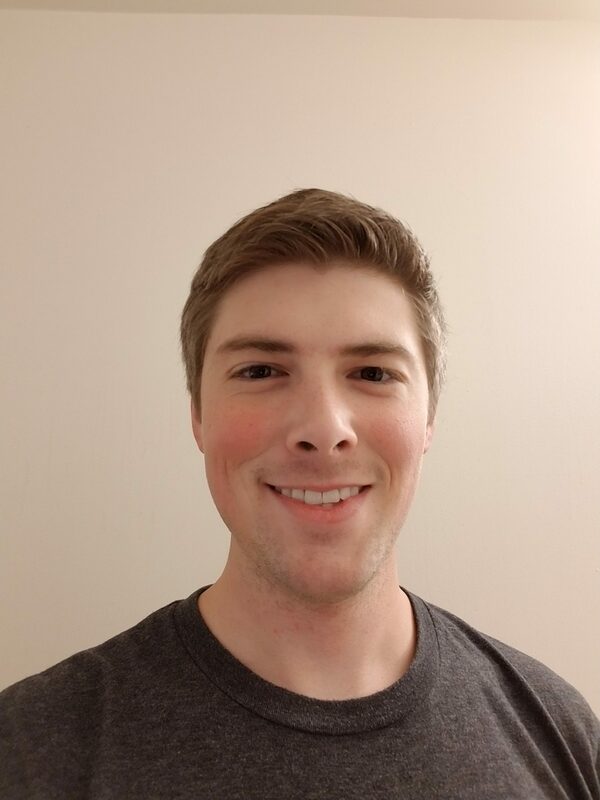 The grant Steven received through the Patient Assistance Program allowed him to focus on his recovery and alleviated much of the financial stress he was experiencing. 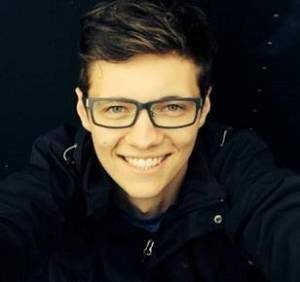 Tyler said, “Because of your generosity, some of these barriers to organ donation have been lifted. We appreciate the impact you have had on these donors and their recipients”.